Mandolinist Rich DelGrosso, guitarist Mary Flower, and multi-instrumentalist Martin Grosswendt's combined picking, as well as collective vocal strengths, reach a pre-war folk-blues summit of peak performance. 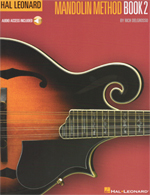 Like Book 1, Book 2 is designed for anyone just learning to play mandolin. 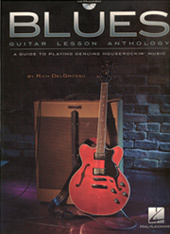 This comprehensive and easy-to-use beginner's guide includes fun songs of different styles to learn and play. With online audio. Time Slips On By is a spicy mix of Texas Blues and Roots, with rocking, solid mandolin and fiery guitar.... a collection of 14 original songs from the fertile blues territory of Southeast Texas. 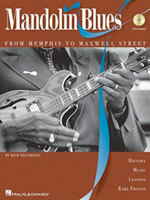 With special guests Doug MacLeod, James Harman, Pinetop Perkins and more. Nominated for 2009 Blues Music Award "Best Acoustic Album of the Year"
Recorded live at XM Radio Studios; with Fiona Boyes and Mooky Brill.